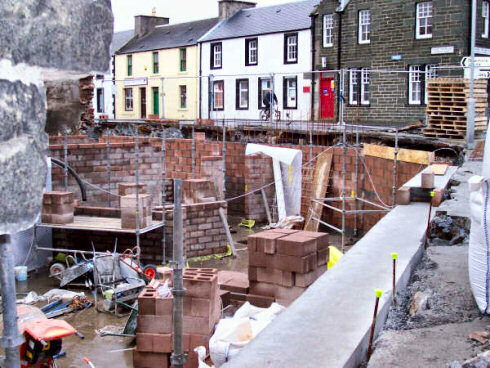 The picture above gives an excellent impression of the progress, as it shows a very similar view as the picture in this earlier Islay Hotel update. 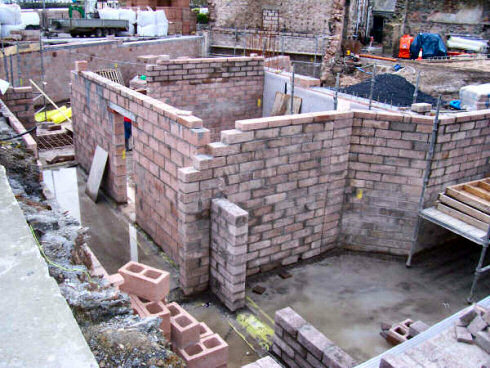 The walls are now almost at full height, this is where various stores and the laundry room will be. Through the gap at the end of the corridor you can see the space where the lift will be (the square hole in the floor). Above a view from the other end of the building. There will be meeting and seminar rooms at the end of the building in the basement, below the restaurant. 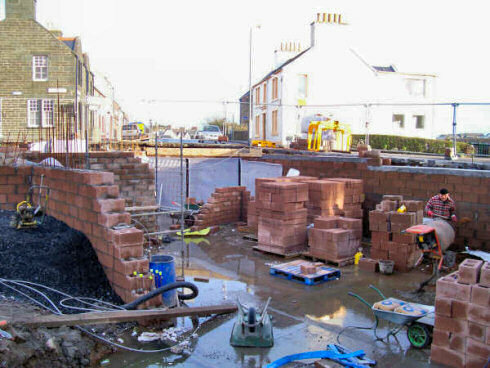 You can also nicely see the new outside wall against the road side on the right. Another view of the same end, but from the other side, from the back of the building. Unless the plans have changed the keg shute will be behind where you can currently see the wall completed to about half height so far (at the wall with the white coverings). The builder is standing where one of the meeting/ seminar rooms will be.